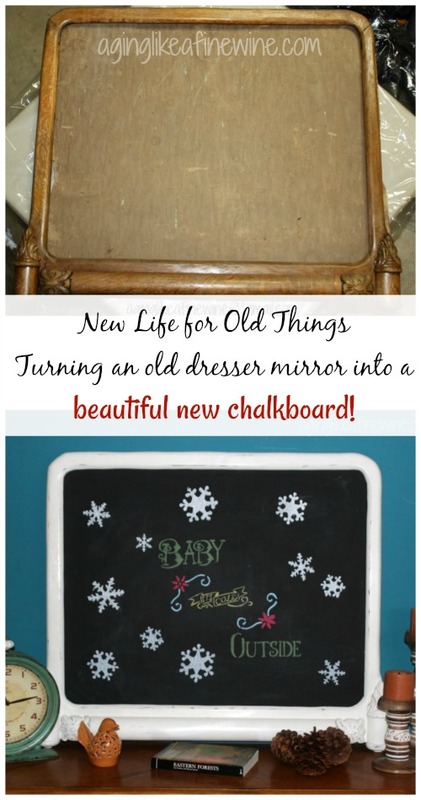 New Life for Old Things… Dresser Mirror Frame to Beautiful Chalkboard! One day, about a year and a half ago, I was browsing through an antique store with nothing particular in mind, just looking. 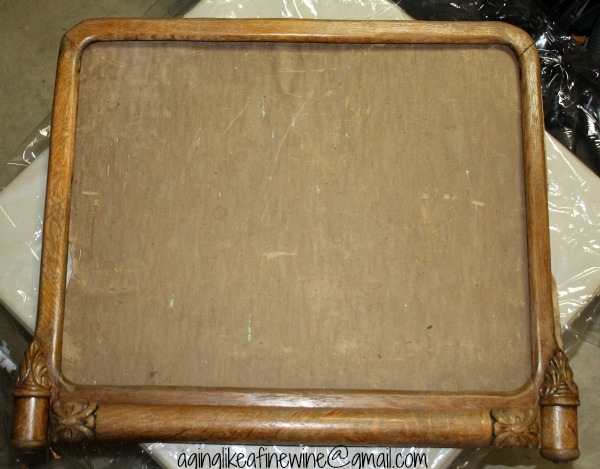 What I found was the frame for a mirror that had been on an antique dresser. It was just the frame, no glass, nothing else. But I liked it! It was only $25 so it became mine! My thought was to turn it into a chalkboard. As I’ve mentioned before it often takes quite a bit of time at our house for something to go from being an idea to reality, so a year and a half later, I’ve finally turned my frame into a chalkboard! The first thing I did was to wash the frame and allow it to thoroughly dry. 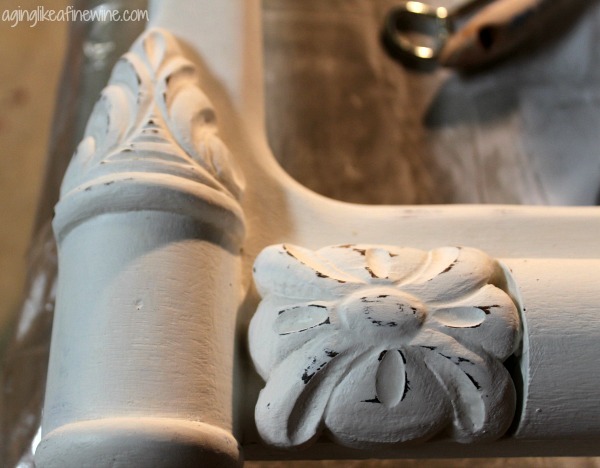 I then painted it with 3 coats of Anne Sloan white chalk paint which I had left over from previous projects. 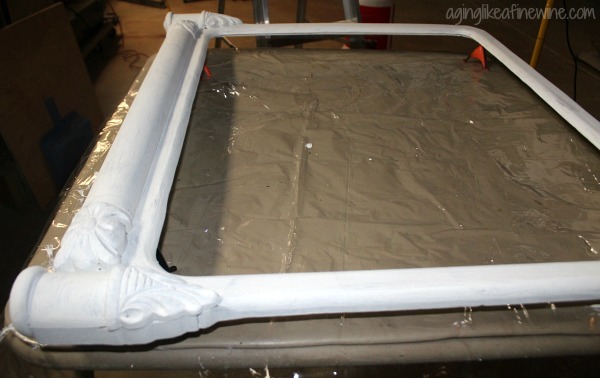 After the third coat was on and dried, I used fine sandpaper to lightly sand the frame everywhere and to take off some paint in places to give it a worn look. I next used Anne Slane clear wax on the piece. 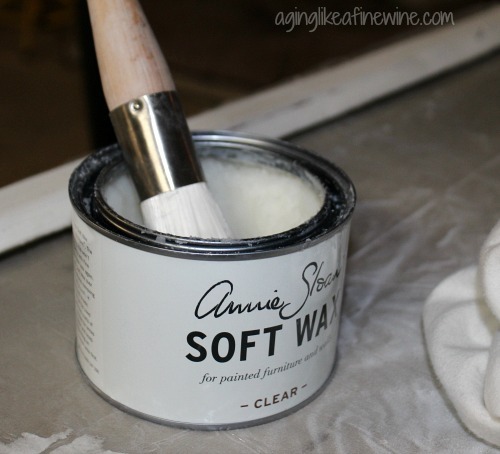 Using a round brush I brushed it on all over the piece and then wiped off the excess with a clean rag. 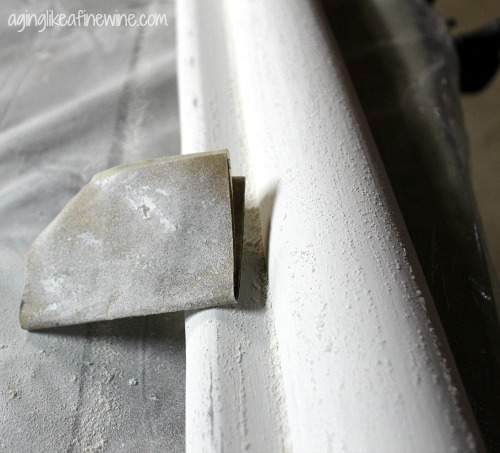 After allowing the wax to dry I repeated the process one more time to give it a durable protective cover. When that coat was completely dry, I buffed it with a clean cloth. 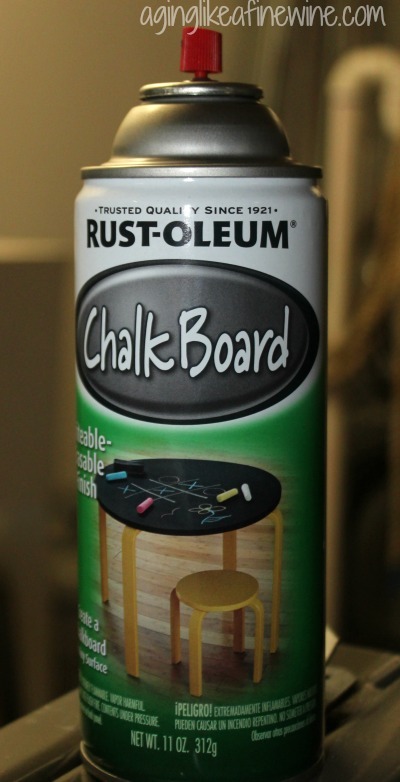 My husband and I purchased a piece of plywood from Lowes for the actual chalkboard. Poplar or birch is a good choice. My husband measured the size of the opening and cut the piece out for me. For some reason, he doesn’t trust me with his saber saw!! 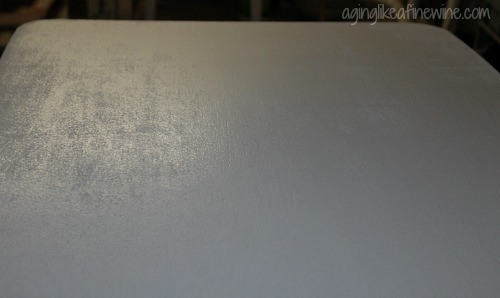 We then applied a coat of primer spray paint to the wood. A few months ago I changed the rug that lies under the dining room table to a blue color with the thought of incorporating some navy blue as an accent color in my front rooms. 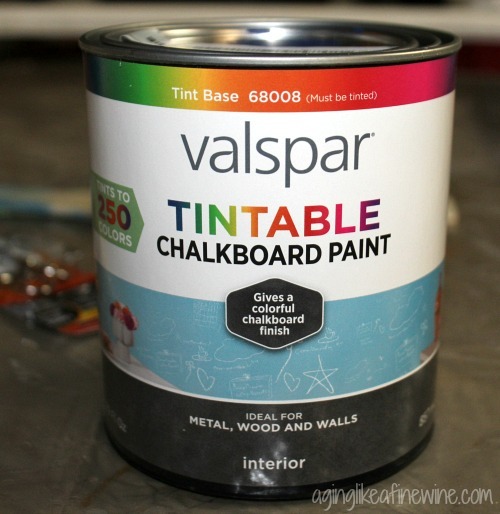 I purchased what I thought would be a dark navy blue chalkboard paint, but when we applied it to the wood, even after a few coats it turned out to be more of a royal blue to me. I happened to have a can of black chalkboard spray paint so we painted over the blue with it and it turned out perfect. Next step was to place it into the back of the frame and tack it into place. 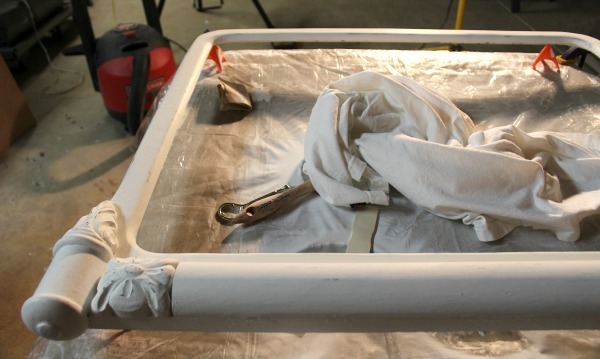 And the last step was to apply hangers to the back of the frame. And there it is adorning one wall in my dining room and I love the addition to the room! This was actually one of my easiest DIY projects. Lowes also sells pieces of black chalkboard ready to go, no painting required. They would only work on fairly small projects though and this one was too large. This post will be shared on the link parties found on my “Where I Party” page. I love the frame. I would have never thought to use it as a chalk board, thanks for the inspiration. It turned out perfect. Thank you Rhonda. I am enjoying having it! I love how it turned out! It looks so pretty! Thank you! I love the uniqueness of it. Such a pretty frame. You did a nice job on it with the transformation! Thank you Teresa for linking up and co-hosting at the #BloggingGrandmothersLinkParty 23. I shared your post on Fb, Pin, and Tw. Thank you Dee, we’re enjoying it. And thank you for sharing! What a great idea. I wish I were more creative. Writing my blog has caused me to stretch myself and come up with projects to share. Believe me, I’m not very creative either so if I can do it, you can too! I love how you transformed the mirror frame, looks great! I shared your post on Fb, Pn, and Tw. Thank you Dee, and thank you for sharing! My daughters have a talent like yours for doing this! I am not talented in crafting in any way. One of my daughters is actually re purposing some old picture frames right now and they look awesome. 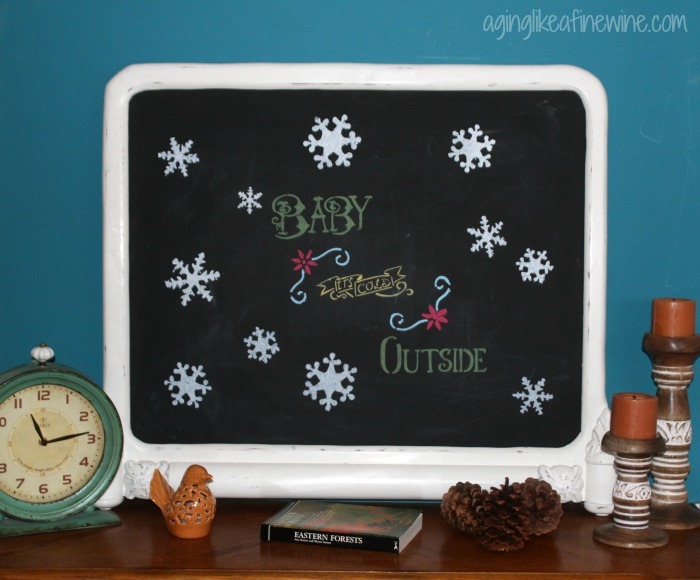 You sure made this chalkboard as cute as it can be. Will share on my social media sites for more people to enjoy. Thank you for commenting and sharing, Pamela. You have the wonderful talent of being an excellent chef and sharing wonderful recipes! Thank you Marci! I love those corners too. I’ve been itching to get out and scour some thrift stores for treasures; just seems hard to find the time! Turned out great! I’ve been wanting a chalkboard in my kitchen. Thank you! I am very happy with the way it turned out. It’s something that I will keep for a long, long time. What a great up-cycle! I love this idea. Pinned. Thank you so much. I am very happy with the way it turned out! Thanks for pinning! 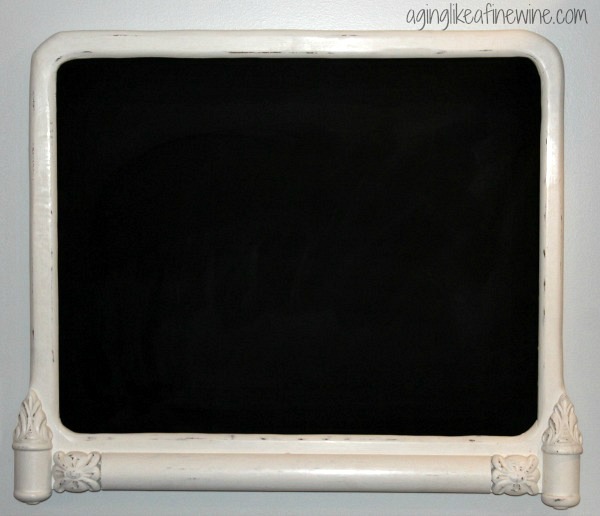 Thank you for featuring my DIY chalkboard this week! I appreciate it very much and will see you in the morning at #ThursdayFavoriteThings! Thank you for your nice comments! I am enjoying it!